Blog Home » Celebrate Your Engagement!! Engagement photos are a must have for any engaged couple. We always suggest a session to our brides and grooms. Several say "definitely gotta do it." Others say, no, we don't need more photos of ourselves, or _____ (insert groom name here, haha) isn't interested in that. Sometimes our brides and grooms live pretty far away, so they look for a photographer close to their home. Other times, we are told that they are going to do photos, but they have a friend who can take them for them. I have to admit that that is my least favorite answer; and I'm pretty sure every other photographer out there will say the same thing. - It helps you get to know us better. You'll see how we shoot, learn our style and how we work together (and of course, you'll love it). - It will make you more comfortable in front of a camera. The less awkward you are on your wedding day, the better. - What better way to show off your new bling than with some photos?! - Celebrate this special time of love and excitement and create a memory before the special day that you can share with your friends and family. Let us give you quality images that you'll cherish. - Don't feel bad about asking us to do some crazy stuff - we've done just about everything. - If you do live far away - it's OK... we do travel. Geesh, we had one bridal meeting that we scheduled in Chicago. What an awesome couple they turned out to be! 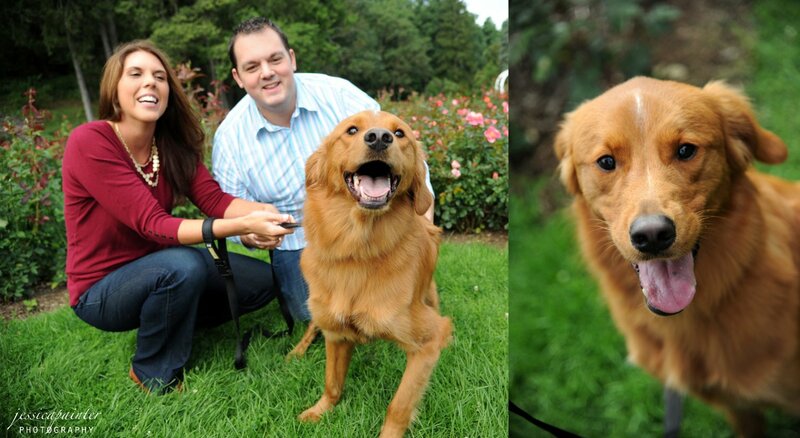 - We love animals, so if you've got some you want to include in your session, great!! OK, so let's start with these few from last year with Jennifer and Eric. 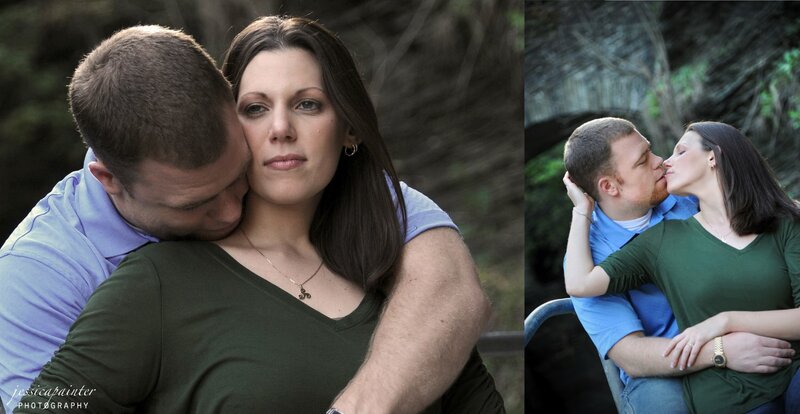 These two had initially not wanted to do a session, but changed their minds shortly before their wedding. I was so happy they did. Not only did we get some amazing images of these two in Congress Park in Saratoga Springs, but we got to know their personalities so much better before their big day last July. Here's a few favorites. Now let me introduce Erin and Mike. We spent almost an entire day shooting these two. These guys live out in Elmira, NY and because of the distance between us we decided to meet them in the Finger Lakes to do their session. One of the places we went to was Watkins Glen, which is where the two photos below were taken. We hiked all the way to the top of the Glen (yep, carrying all our gear) and got so many fun photos. It was an awesome day. 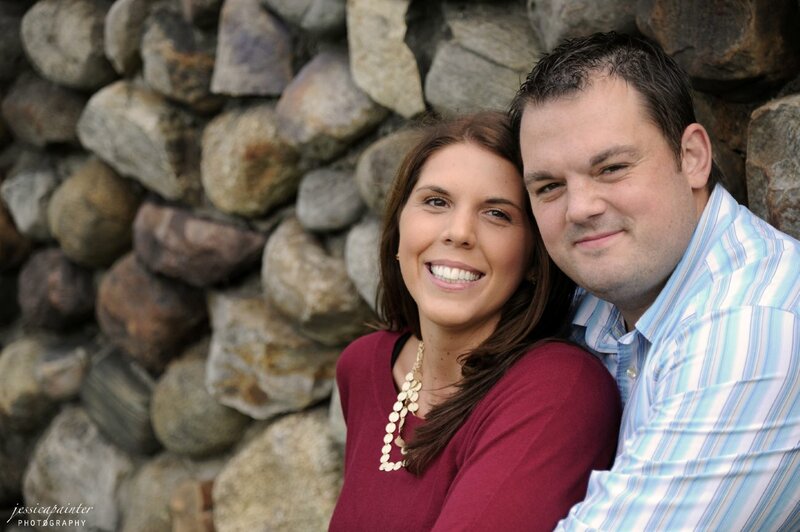 We can't wait to celebrate their wedding day this June at The Century House in Latham. Here's Mark and Kristy. 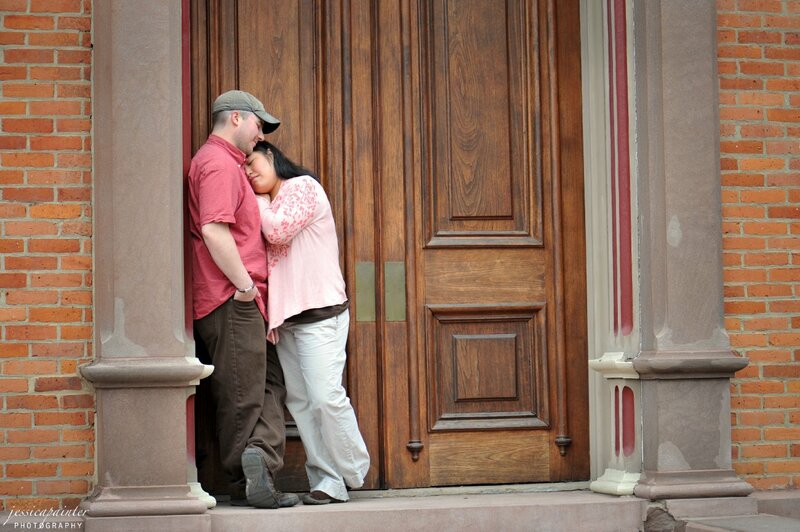 We photographed these two last year at the Schenectady Rose Garden. They included their dog Bella in a few photos - something I loved!! These two just tied the knot this month at Longfellows in Saratoga Springs. It was an awesome wedding! You can see a few of their teasers by clicking here (and make sure to like the page while you're there). Stay tuned for their blog, it's coming up very soon. Here's Piyali and Ken. These two came to our neck of the woods for their session, and I am so glad they did; we've got so many beautiful spots around here. There's a lot of great photos from this session, but for now, here's two favorites. 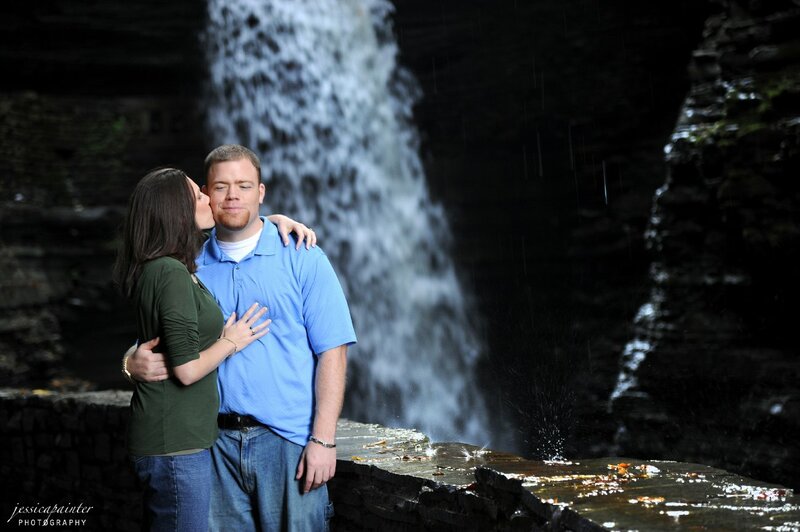 Stay tuned for their wedding this June - we are really excited about it!! Here are Mae and Kevin. They are an awesome couple and have such a great story about the journey of their relationship. They also just had their first baby together - we are so happy for them!! We shot their session in Washington Park in Albany. Summer and Andrew are an awesome couple. We shot their engagement session in Congress Park last year. Last August they had their ceremony in the park itself and then the reception at the Canfield Casino. If you don't recognize this popular spot, it's one of the doors just outside the casino. This photo depicts them exactly - very serene and in love. Chris and Holly had their wedding on the grounds of their beautiful home in Syracuse last August. It also happened to be the perfect place to shoot their engagement photos. Such a beautiful place and tons of great photo opportunities. I will end with these two photos of Laura and Larry. Laura wanted to do something very unique and different for her engagement photos. After some back and forth with ideas, we ended up going to The Standard Restaurant. We were able to capture a lot of very romantic moments. Definitely a fun shoot! 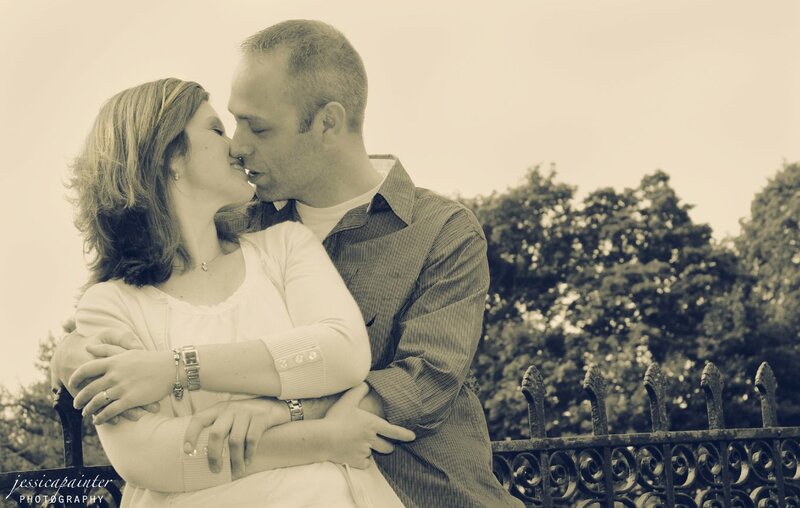 Make sure you reach out to us about your engagement session! Congratulations to all the engaged couples out there! !